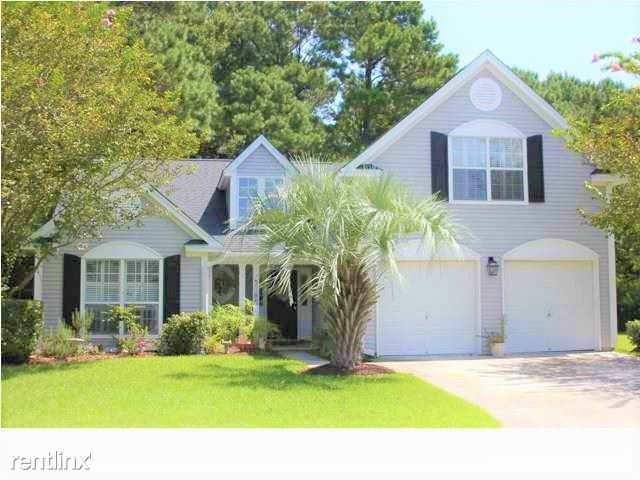 This 4 bed, 3 bath home in desirable Dunes West has everything you could want! Master Bedroom/Bath on the first floor, upgraded Kitchen, fireplace, hardwoods, screened porch, large, private back yard and that’s just on the first floor! Upstairs has 2 more bedrooms with a bathroom and a Finished Room Over the Garage (FROG) that is the 4th bedroom and has its own full bath as well! The yard as a whole is beautifully landscaped for privacy. Location is less than a mile to Harris Teeter, Starbucks, Blue's Grill and the beaches and many more restaurants and shopping are just a few mins drive way! This home has been wonderfully maintained!